‘Make A Move’ is a song that you can listen to on high volume, and it just makes you wanna move, giving you good vibes and energy, making you forget about everything that’s wrong. Well what got me in to music was unexpected. Back in high school my best friend saw a flyer on the wall announcing a music contest was going to take place there, so we just applied for fun without knowing it was gonna be a big thing. I felt great on stage, and after the feedback I got, I thought singing could really be my thing. The first artist I took inspiration from was the one and only Michael Jackson! ‘Beat It’ was actually the first song I performed at that high school contest. I then started listening to Black Eyed Pies, Akon, Usher; and more recently Pnb Rock, Ozuna, Bad Bunny. My style is as diverse as my name ‘Hybrid’. I like a lot of styles and different types of music, but my music is really a combination of Pop, Latin, R&B and Trap music. A Hybrid is really who I am and what my music is about. I like and love so many artists, that I’d collaborate with as much as I possibly can, because music is all about uniting people spreading emotions and feelings. But, if I had to choose one it would probably be Ozuna. Tell us about your debut single ‘Make A Move’ - what’s it about? It’s a long story, but basically it’s about me being attracted to this really hot girl, and we couldn’t keep our eyes off each other, but we both didn’t make a move, so she left and I thought I’d lost the chance to meet her. Luckily, later she came back so I decided to make the move and talk to her. While I was talking to her, she kept complimenting me with this and that, saying “You’re so handsome” so I asked her “If you think I’m so handsome, why didn’t you come over and talk to me?” and she replied “It’s not a good look when girls approach guys”. It’s an issue for both sides and there are probably lots of missed opportunities out there. So basically just make a move. I remember the day clearly because of the excitement I had to record in a professional studio. We wrote and recorded ‘Make A Move’ on the second day I arrived into London, at (F/H Block) studios. You worked with Karim Gibson (Jakk City), Lee Hing-Coa and Dominic Husbands (Dot inc) on the single. What did they each bring to the track? They brought love and passion to the track. I loved the beat that (Dot inc) made and how the lyrics we wrote complimented the song. We all connected really well and that’s what made the recording of it a hit. How does ‘Make A Move’ represent your sound? 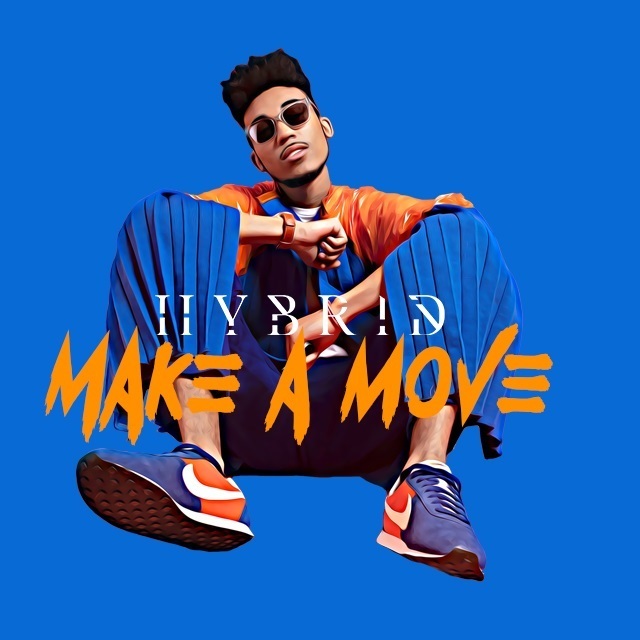 ‘Make A Move’ is a song that you can listen to on high volume, and it just makes you wanna move, giving you good vibes and energy, making you forget about everything that’s wrong. That’s what I really want people to feel when they hear my music. This is just a part of what my sound really is about. What are your hopes for ‘Make A Move’? I want everybody to be dancing to it during the summer 2019 holidays. And get people to understand the real meaning behind it, that whenever they’re afraid of doing something, they’ll at least give it a try. Because you’ll never accomplish something unless you try. 2019 is gonna be my best year yet. I’ll be releasing new tracks, achieving new goals and showing people more of who Hybrid really is. It would’ve been in my hardest times when I doubted myself, getting to the point of nearly quitting music. I’d say: “No matter how hard it gets, never ever doubt yourself and keep fighting, because the hardest times are the times that really determine how much you want it”. Watch the video for ‘Make A Move’ on YouTube below. For news and tour dates go to hybridthagod.com.